Last I will add to this as we are getting war off topic. i would have paid money to watch the blue rag go through the guzzi. The “ way off topic “ threads are usually some of the best ones. Some topics are complicated and interrelated. Took the forks apart today to do seals. 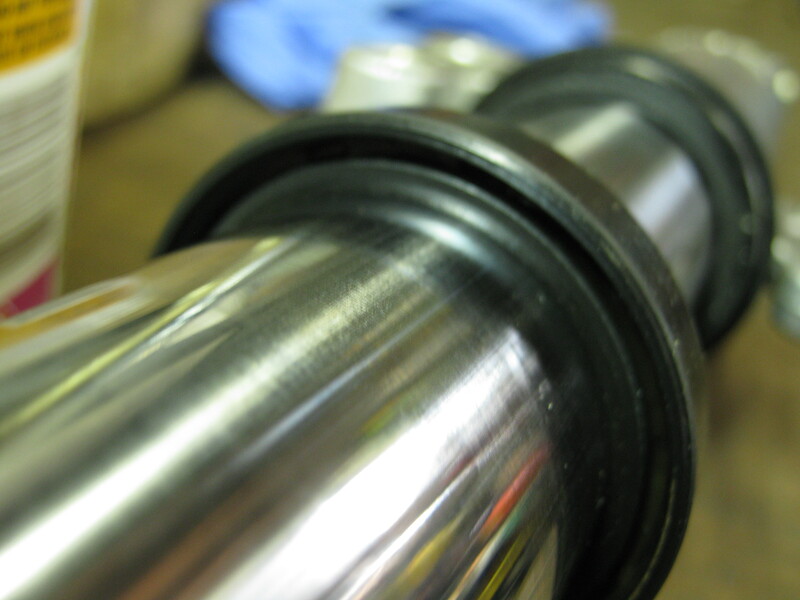 toward the dust seal /axle end. Is this correct? most applications the spring side of the seal is s'posed to go to the wet side eh? photo will clarify what you mean. On the ohlins seal in my hand yes the spring is wet side. 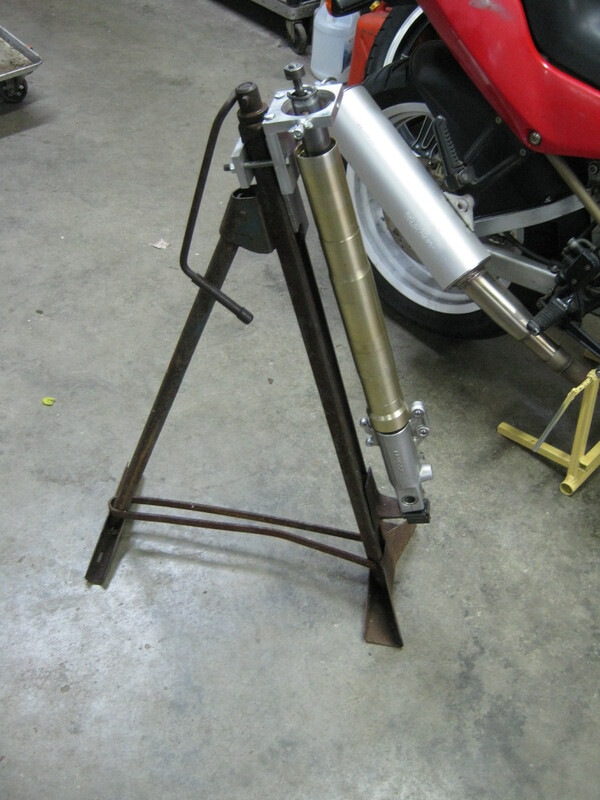 OOps my bad - the forks in question are the stock 1994 900cr Showa non adjuatable 41mm. lots of forks seals have a spring both sides. larger spring and lip get wet. photo will help get the answer you need. Normally any numbers or means of I.D. Face the dry side. There is a website devoted to showing which side is wet or dry, but I can’t remember what it’s called . It was something simple like “ fork seal identification “ or” fork seal types “ that I found by accident . It’s getting harder to figure out. They say to see which way the lips are angled, but some don’t seem to be angled. Many of the seals I’ve bought have a spring on both sides, no I.d., and no instructions, or instructions that don’t help at all. A simple picture of the seal installed the correct way would be fantastic, wouldn’t it ? junked. Turned a three handed job into a piece of cake. I've recently replaced some old NOK seals with new ARI seals. -The side with the numbers or ID faces down towards the axle. -The seals have a circular gap on both sides. The smallest gap faces the axle. When thinking about it, this makes sense. 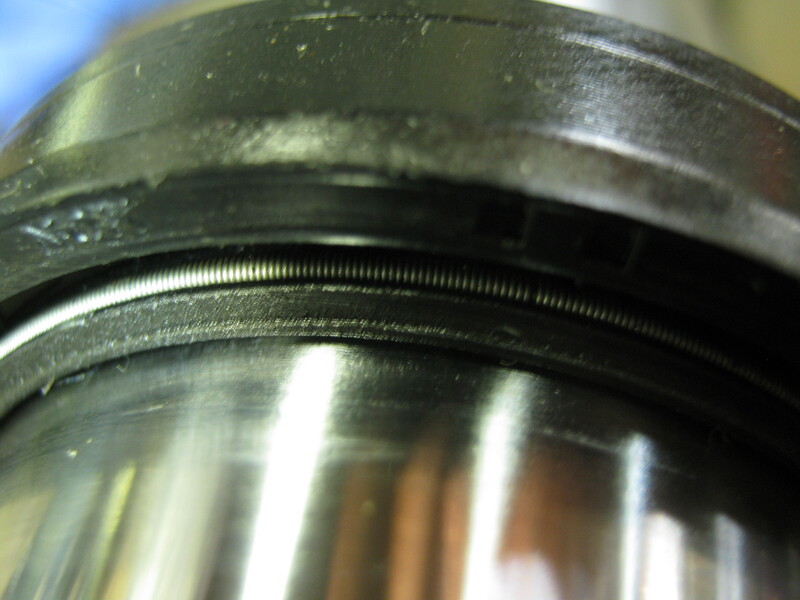 The side with the smallest gap has the most material left for the seal driver to hammer on. The wet side has a wide gap with little rubber left for the seal driver.